Was recomended to visit by a friend, and it was great. Lovely glowing fire as we walked through the door, very welcoming indeed. started with drinks and complitementry parsnip crisps by the fire while we defrosted and perused the menu. We had homemade bread with our starters of salad of local woodpigeon with smoked bacon and a raspberry dressing. my friend had homemade fishcakes with a caper cream both equally delicious. Main courses we had Lamb tagine with citrus cous cous and Herb Crusted cod with caviar and chive cream. We shared a pudding of Classic poached Peach melba. The service was very pleasant and attentive and our evening cost under �55 we thought that bargain. We finished our evening with coffee and homemade chocs by the fire. We will definately return maybe for one of their theme nights. Staff (Lucy is excellent), Landlady is very pleasant. 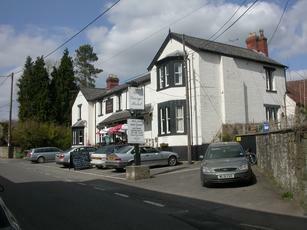 From the outside, this looked like a traditional pub, although it had a small raised area with three tables. However, the inside has been turned into a gastropub with formal dining area, an armchair area and some italianate stools at the bar. I would have continued onward to find a traditional country pub, but time was short so I settled. There was only one beer on, Sharps, but it was acceptable, and the light menu although not extensive was fine. My bacon and brie on home made bread with salad was very good, and the cafetiere of coffee afterwards was excellent and very good value. There were up to four locals at the bar, they seemed happy to be there, and after getting over my initial reactions to the place, so was I.